The College of Health Professions graduates professionals who treat patients and prevent illness as part of a health care team. The college strongly benefits from being part of SUNY Upstate Medical University, one of 125 academic medical centers in the country. Allied health professions constitute approximately 60% of all health care providers. At Upstate our ten allied health degree programs prepare graduates for rewarding careers that help to meet the health care needs of Central New York and beyond. CHP students benefit from low in-state tuition, strong disciplinary and inter-professional education, a professional classroom atmosphere, and an outstanding faculty committed to providing innovative educational experiences. In keeping with the Upstate mission, opportunities for civic engagement are enhanced through our close ties with community agencies, with ample opportunities for volunteerism and service learning. Through our close alliance with hospitals and clinics CHP students gain hands on experience applying their developing skills in real world settings. We affiliate with approximately 400 clinical sites to provide students with the depth and breadth of experience that helps build sound clinical reasoning and clinical proficiency. Graduates of our programs are well prepared for careers in professions with excellent employment outlook. Our alumni have outstanding performance on credentialing examinations, with pass rates that exceed the national averages. The College of Health Professions was formed in 1971. However, programs in the Health Professions have been in existence on this campus since 1956. College of Health Professions' students can choose from eight exciting health care fields. All of the bachelor's degree programs are upper division, meaning students enroll for their junior and senior years of college. Two offer master's degrees and one offers a doctorate. contributes to a broadly based education for students in health sciences. The College of Health Professions annually admits over 130 students into its programs. Retention rates average approximately 90 percent for the College. There are 32 full-time and 8 part-time faculty. In addition, there are more than 240 clinical and adjunct faculty who contribute to the college's educational programs. 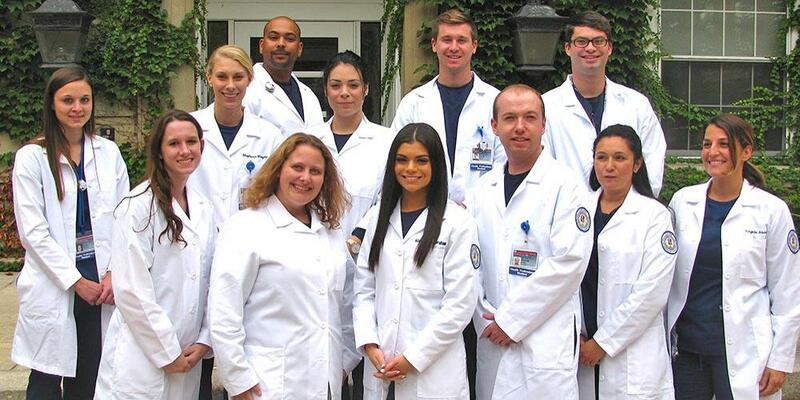 The setting and structure of the College of Health Professions provide an opportunity for students in the various programs to learn to practice together as future members of the health care delivery team.